If you've become comfortable with free-motion quilting, how about trying it upside down? It's called bobbin work, and it's a great technique for using thicker, more decorative threads that won't easily pass through a needle. 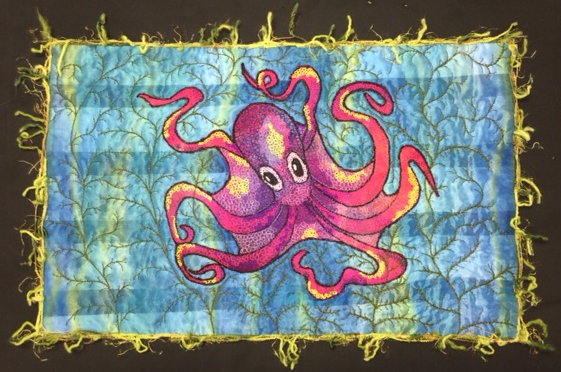 In this class, you'll use free-motion bobbin work to create the texture for a fun and funky octopus, then you'll add detail with couched yarn and additional threadwork. It's like colouring with your sewing machine, using threads instead of crayons. Once you start, you'll be hooked. Plus supplies; supply list will be given upon paid registration.